Disclosure | We were gifted a juicer from Hurom which we are using in this post, all opinions are our own. In a post around New Year's we had mentioned we were feeling a shift for 2018 here at Poppytalk, and today we're kicking off the beginning of it with a focus on healthy eating. 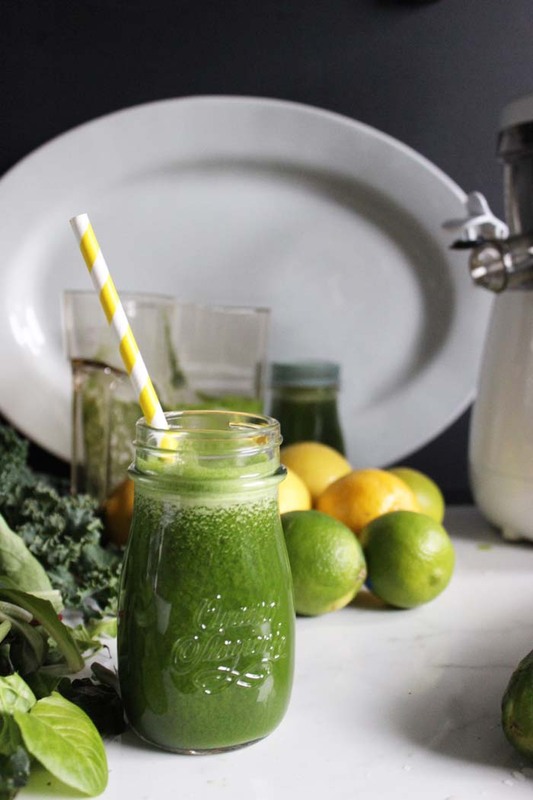 The post to how we got here is coming, but part of it involves focusing on a more holistic approach to what we're putting into our bodies, and since today is National Green Juice Day, we thought it was the perfect time to start! 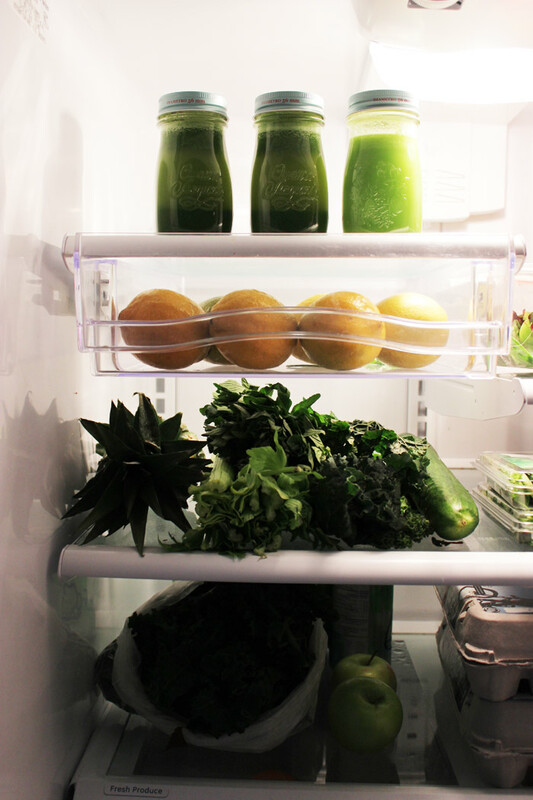 Although I've picked up the odd green juice here and there, I didn't realize what we were actually missing until we started to make our own. Our friends at Hurom gifted us a new juicer over the holidays and I've been obsessed to say the least. So after testing and adapting a few recipes these past couple of weeks, we have a couple that we think are definitely worth sharing for the taste and that are also great for boosting your immunity during this winter season. 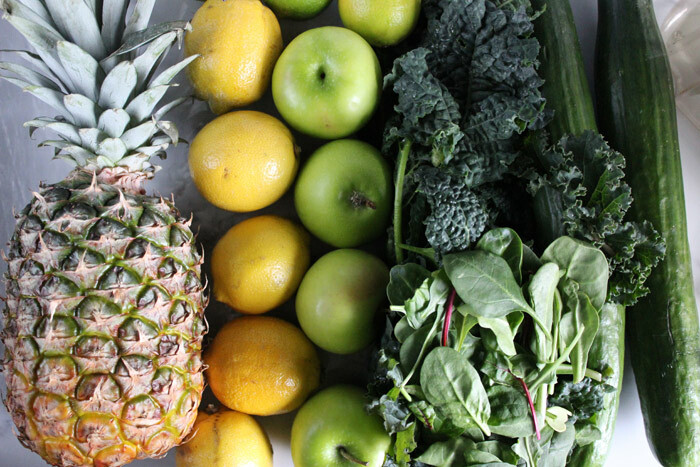 What I love about making our own juice is not only can we customize the recipes to what our body needs, but we can also control the ingredients (opting for fresh organic as much as possible), as well as consuming them as soon as possible before all of the nutrients oxidize and are lost. 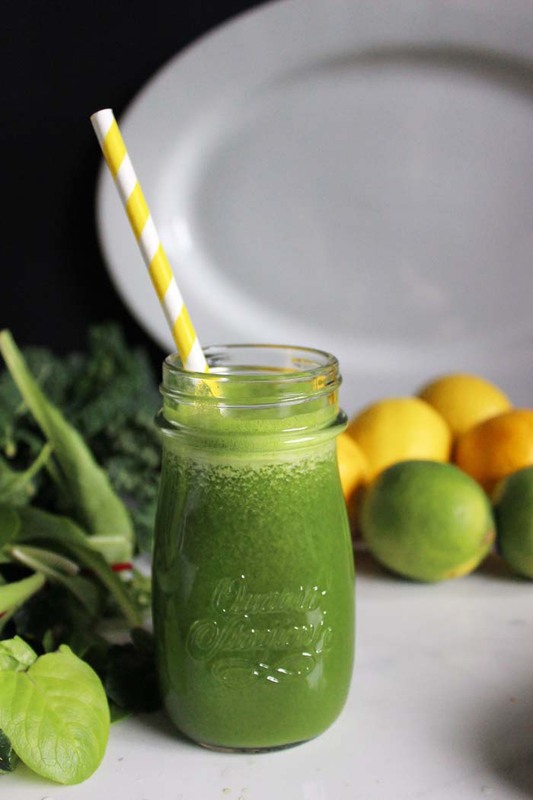 We have two recipes to share today, both power-packed with immunity boosting nutrition, with an option to spice things up if you like your juices that way (like us)! 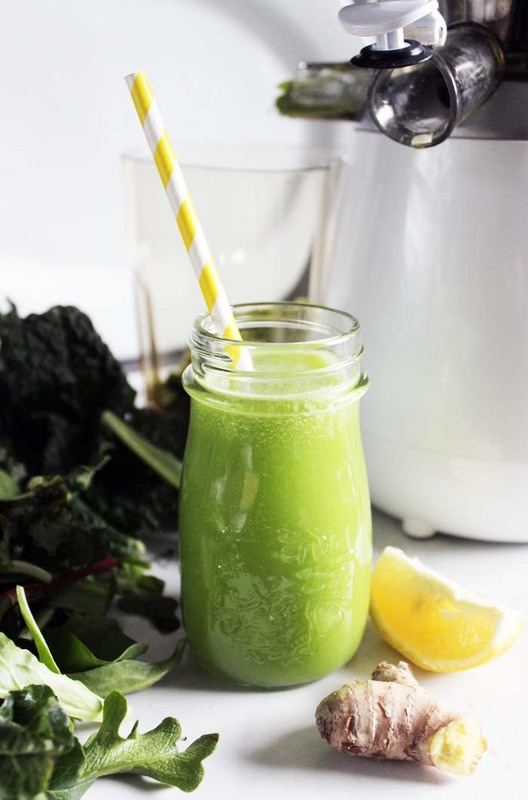 This recipe is a really good juice if you're looking for a low sugar-style juice, as we used green apples in our version which are more sour. 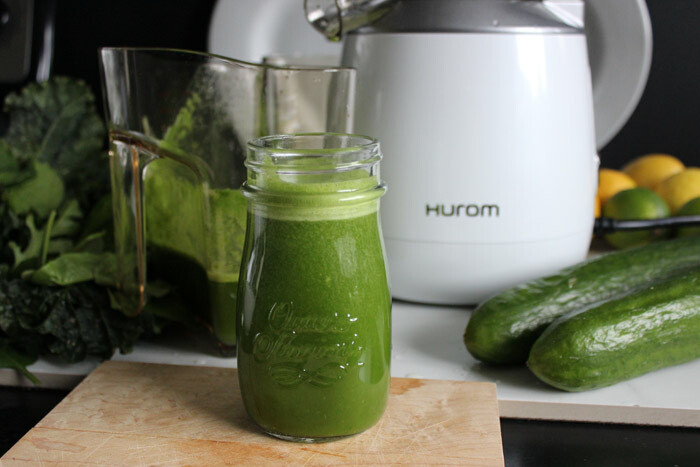 And the cucumber, apple, lemon and celery are really good for those dealing with gut issues. This recipe is a little sweeter, but perfect for the little ones who need a blast of green in their diet. If you wish to lower the glycemic impact from the pineapple, add a half lemon.